In recent years, we are witnessing a trend that Ebooks are becoming more popular than ever before, and it comes as no surprise, because of lower prices and the possibility to view ebooks with E-readers (devices specifically designed for reading Ebooks) and all other devices with a screen. In other words, you can say that ebooks have far better availability that regular hard copy books. One can even say that they are rescuing the written word because many people stopped reading paperbooks, because of massive usage of computers and other reading gadgets, but they eventually got interested in its digital edition. In the United States the number of Ebooks published online has surpassed the number of classic ones, and the latest research shows that people find the process of locating the desired publication much more comfortable online. Some other advantages include text-to-speech software that many E-readers have (for the visually impaired), lesser use of raw materials for manufacturing, and also a great number of vintage books that are now in the public domain, meaning they can be downloaded for free. The biggest issue with Ebooks becomes evident when someone tries to make any changes to it. The great majority of Ebooks are sold and distributed in PDF (Portable Document Format) form, which is a read-only file format, and that implies that these files cannot be edited without the use of specialized tools. Today we are going to introduce three free online tools that are built to cope with this problem, and each of them is able to handle a specific type of Ebooks. For most finance Ebooks, we need a tool that can preserve all the spreadsheets intact, and precisely convert the PDF back to its Microsoft Excel native format. A great example of such a tool is PDF to Excel, a simple yet competent apparatus with whom you can accomplish everything in a few simple steps. It is important to mention that no user information is needed. All kinds of brochures have a combination of text and images, so if we want to edit these types of PDFs, we will use a tool that can convert them back to Microsoft’s PowerPoint, if we intend to successfully manipulate these files. This can be done by using PDF Converter’s Free PDF to PPT tool, which only requires the email address of the user, where the link to the download page will be received after the conversion is done. The vast majority of electronic books are composed of mostly just text, and they are definitely the most uncomplicated type of Ebooks, therefore the simplest for editing. For them we can use Investintech’s Free PDF to Word tool, with whom we can easily convert the PDF file to Microsoft’s Word, where we can make all the changes we want without a problem. This tool also requires only an email address, and all user information is severely protected and privacy is absolutely guaranteed. Sometimes it may be really handy to convert a interesting web page into a PDF and store it on your computer or mobile phone. This makes the page available to you offline. Here are some web to PDF tools that will do it absolutely FREE. PDF documents are very popular however sometime you may want to convert them to a word doc for easy editing. Some more Free PDF to Word tools are listed here. 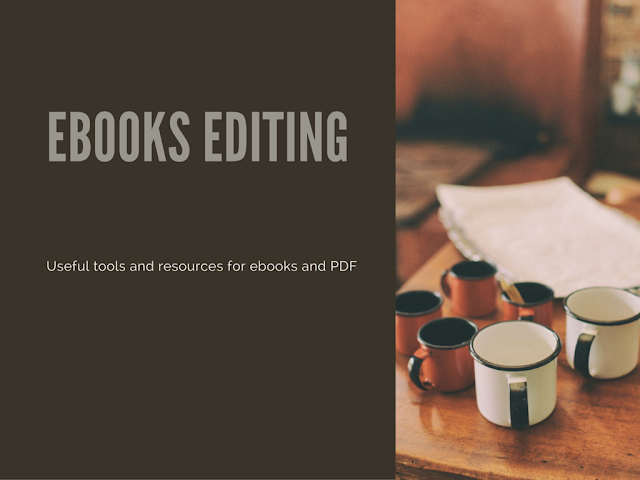 Whether you are an Ebook enthusiast or you just read them occasionally, you might come to a situation when you need to edit some of your Ebooks. When that occurs, don’t forget to try one of these tools.